The news is coming out that the official Android music player 3.0 app from Google has been leaked on XDA forum. The leaked music app is similar to the one which was demoed at Google I/O event this year however the leaked music player app is very buggy & doesn’t offer any of those features which Google demoed at I/O event, but it has got significant GUI overhaul. It has been planned for Android 3.0 aka honeycomb release but if you don’t want to wait until Android 3.0 and wants to get your hands dirty with this music player app then head over to XDA forum & download android music player 3.0 APK file. 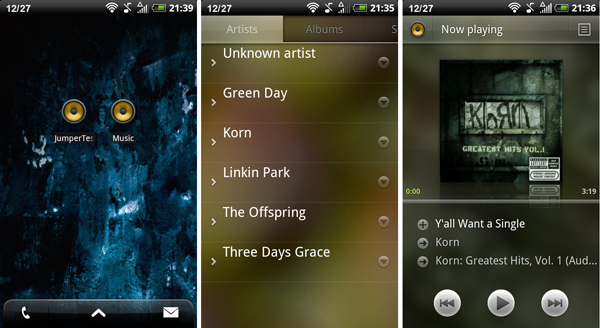 Download Android Music Player 3.0 App. Movist Movie Player for Mac OS X- Does VLC Finally Have a Competitor on the Mac?